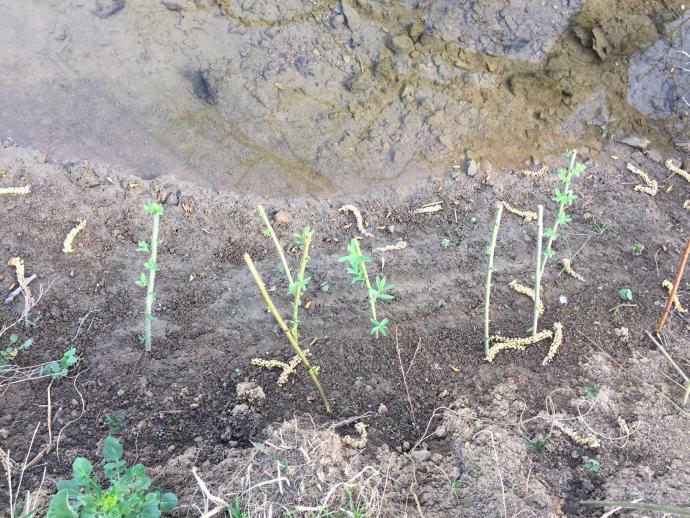 Student volunteers planted Willow and Red Osier Dogwood whips along the banks of Seiberts Creek in Purcell Park. The plantings will help hold the bank in bare areas where floodwaters are starting to erode away. 300 whips where planted as a part of the project, and a Blackgum and Sassafras tree were transplanted along the stream. 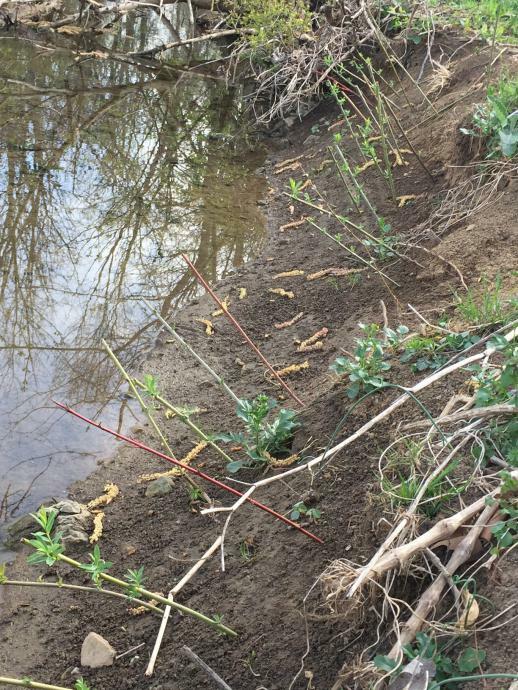 Willow and Red Osier Dogwood whips were planted in bare spots along the streambank. The plantings will help reduce erosion and protect the stream bank.